Back in 2001, I found myself in the Bangkok Airport, waiting to board a plane for Yangon, the capital of Burma. It was a new adventure for my friends and I and while we were waiting near the gate, waiting to board, a howling electrical storm was beating down over the airport. All of a sudden a lightning bolt hit the airport, everything shook and all of the power went out. It was an ominous beginning to an adventure that we were a little apprehensive but incredibly excited about. The power came back on shortly in the terminal and within an hour and a half, we were setting down in what would become one of my favorite places on earth. Although I have traveled to most of the countries in Southeast Asia and have been photographing them for as long as I can remember, Burma really has no equal and although the landscape, temples and monasteries are a photographer’s paradise, for me it’s really the people that make this country so special. Between the amazing monks and nuns that seem to be everywhere throughout the country and also the gorgeous children with their thanaka face paint and non-stop smiles, this is a place that I really call my home away from home. When we were there in 2001, it was so much different than what it is today. The military have had a terrible reputation towards the people and the monks, and were an ever present reality while roaming the country looking for great images. This was not a place that you wanted to do anything wrong as you know you’re not in Kansas anymore while traveling through Burma. Fast-forward to today, with Hillary Clinton and President Obama both visiting the country not too long ago, and democracy is seeming to slowly transform this tightly controlled country and tourists are flocking here like never before. Aung San Suu Kyi is out of 20 years of house arrest and the feeling is incredible for the future of this very special place. Photographic possibilities are endless and in every direction, and for those that have never been in Southeast Asia, it is really like nowhere else on earth. But it’s those faces, those young faces in and around the big and little cities that make a good camera and good gear an absolute necessity. 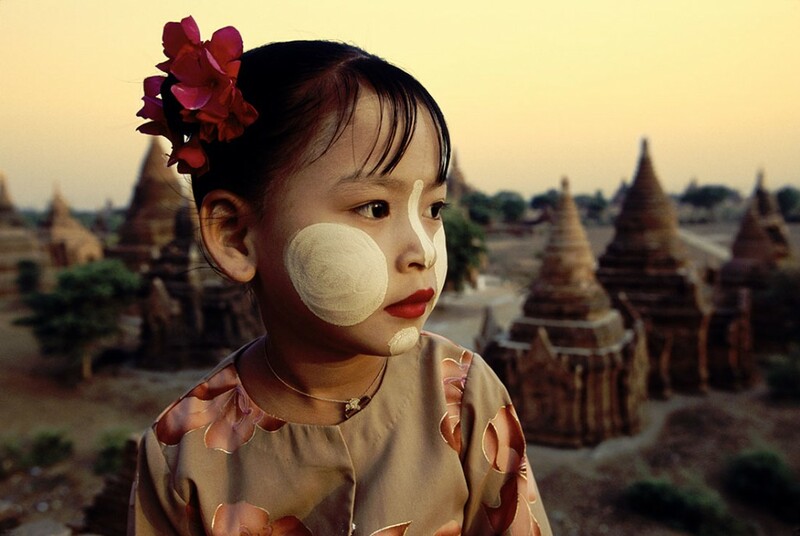 Little San San, in the photo above with her thanaka face paint, had the perfect face for me and symbolized this country so well and I placed her above the temples in Bagan one morning after sunrise. I had her look away as so often people think that the key to a great portrait is having your subject’s eyes looking straight at you. This definitely is not always the case and that morning San San gave me exactly what I envisioned. Although most people go to a place like Bagan to capture the incredibly special temples and monasteries, my heart is really with the people but especially the children. It’s very similar to how I feel about Africa. Most people go on safari and want to be on as many game drives as possible but when I go, it’s the amazing faces of the different tribes that draw me more than anything. It really is incredible when you think about how big this world is and how vastly different the people are from one country to another. It’s my favorite part of photography! I don’t usually talk about gear unless I’m asked, but there’s one thing that has spoiled me forever in regards to camera gear and it really is what Joe has produced at Really Right Stuff. It is hard for me to plan a workshop whether in Burma or anywhere else and not try and talk people into bringing his ball heads, L-plates and other gear. I have done so many demos of gear from RRS through the years and I let everyone know how important good camera gear is, no matter what level of photographer you are. I have tried so many different things in the past and one thing is for sure; there is no better design in the world and it just feels right to use the right stuff. And for portrait photography, good tripods, ballheads and L-plates are absolutely critical, at least for me. I try and push everyone to think about getting away from the point and shoot approach, especially with portraits and if your goal is to make money with your images, having this gear is crucial! When I think about so many of the images that I have shot throughout the years on so many trips to Burma, I know just how important everything was from my Canon gear, laptops, backpacks, tripods and everything else. When it comes to good gear and stuff you can count on, there is no substitute. And that’s why I will never use anything other than Really Right Stuff gear. And this ain’t no sales pitch, it is just the truth. And for traveling, the best gear is a must! Monasteries all throughout Burma provide some of the best photo ops to capture monks and nuns, but you have to be respectful as their way of life is so different than ours. 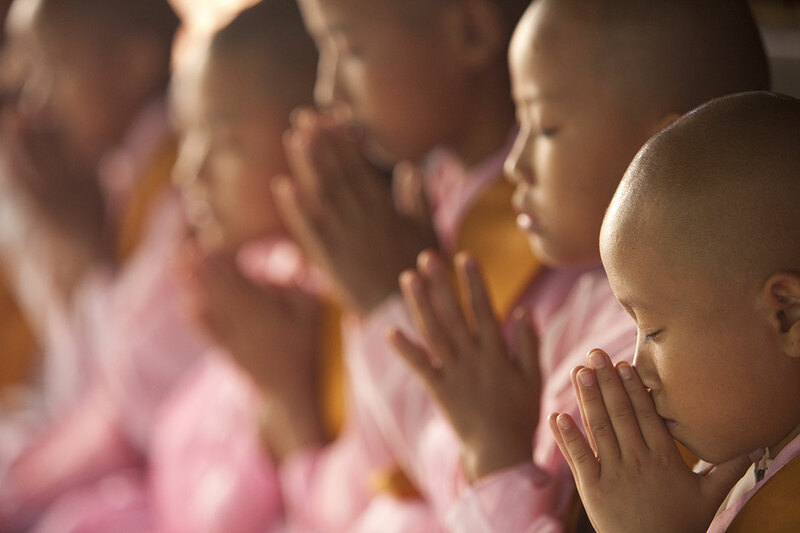 They are on lifelong missions to seek Nirvana and their Buddhist culture is a pretty nice way of life. 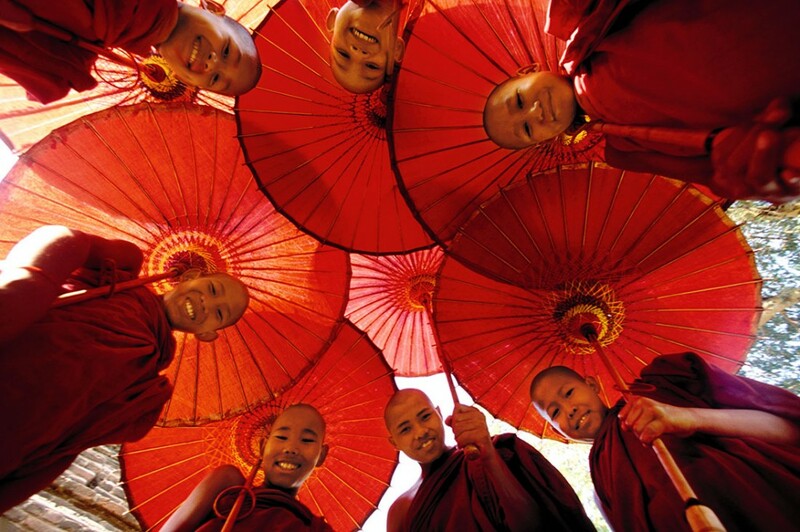 I have been so lucky for years to be close to many of the monk masters and they have given me special access to photograph the monks and nuns in different ways and locations. My new book called Passage to Burma, is filled with so many images of my special little friends from all parts of the country and I can’t wait to bring it to Burma on my next trip and show everyone how they look in the book. Photographing faces has probably been my favorite thing in photography for as long as I can remember, but nothing can really compare to the faces of Burma. Photographing in India is pretty close, but once you venture into this mystical country, you will never forget it. 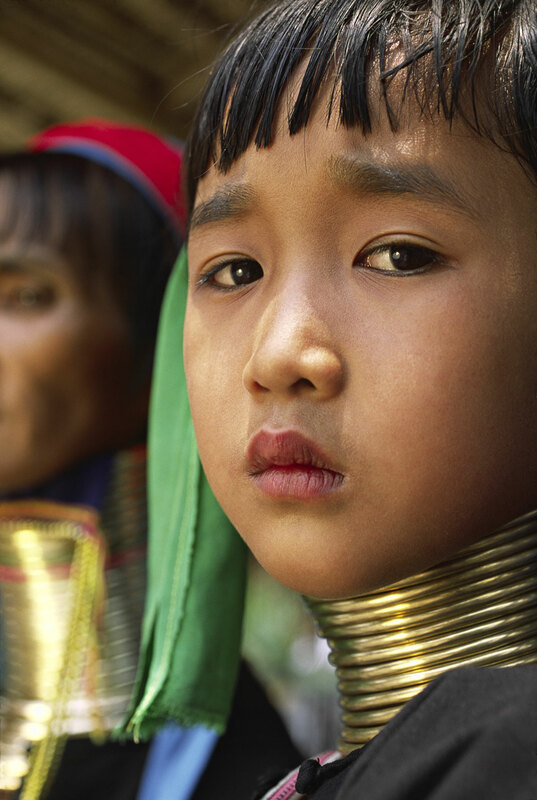 Some of the most special faces in Burma are the Padaung women, or the ring-necked women. Their brass rings are placed around their necks at a very young age and as they get older, more rings of brass are added. I have lifted up some of their rings when they had taken them off and they are incredibly heavy. They are used to press down the collarbones as the girls age and in turn, give the appearance of a longer neck. It is a photo opportunity like no other and the women are as kind as anyone in Burma. On the image above, I shot in close with my 50 mm macro as I love getting in close & personal with so many faces throughout the country. I also shot from a slightly lower angle which gave me a better perspective and I made sure she did not smile. I got just what I wanted. One night after shooting at the Ubein bridge in Mandalay, I asked the little girl above if I could photograph her by candlelight. In total darkness, using just my headlamp to see, I set up my tripod close to a cement wall and had her lean across the wall. I had brought candles, knowing in advance that I want to try a shot like this and I placed two to her right and one behind her as a back light. I told her to be as still as possible and with her angelic little face looking straight at me, covered with thanaka face paint, she became the perfect little model. We have remained friends ever since which is the same for most of the children and monks and nuns that I photograph in Burma. It is the best feeling in the world to see them running towards me after not seeing them for a long time. And now, I can’t wait to see them smile when they see their faces in my new book. A pretty good feeling for me also! 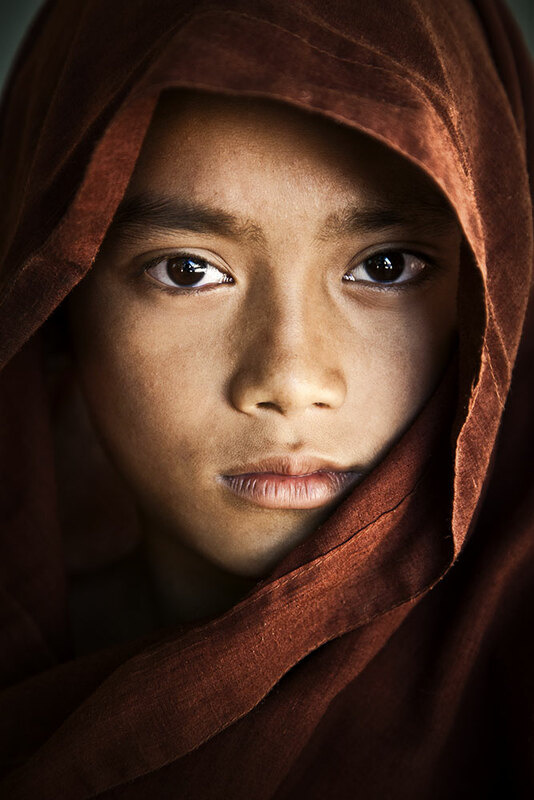 Scott Stulberg is a world-traveling photographer and teacher, with images represented by Corbis and Getty. 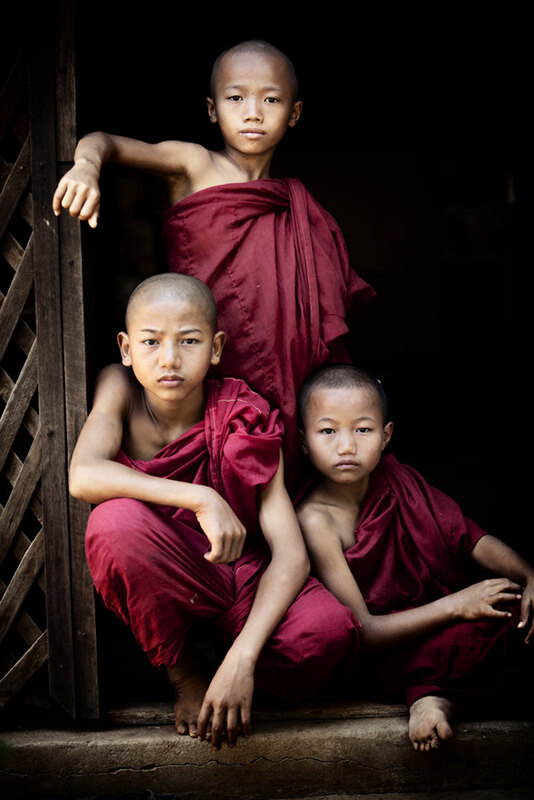 You can see these images and more in his upcoming book Passage to Burma. Words and images ©2013 Scott Stulberg. All rights reserved. I had the opportunity to first shoot with Scott in Death Valley on one of his workshops. I learned more in those few days than I had in the previous three years when I began learning about photography. Scott is passionate about teaching his students everything he knows, including composition, gear, camera settings, light situations, and post processing. Congratulations for being featured by RRS! Wow, just this shot of the girl with the candles is worth the book! – What an incredible expression, what a beauty, innocence and depth is radiating from this picture! – Scott’s portraits really capture the essence of people and offer a look into their souls. I’m deeply touched by all of them. Scott, I love your enthusiasm in setting up one of your pre-visualized shots. 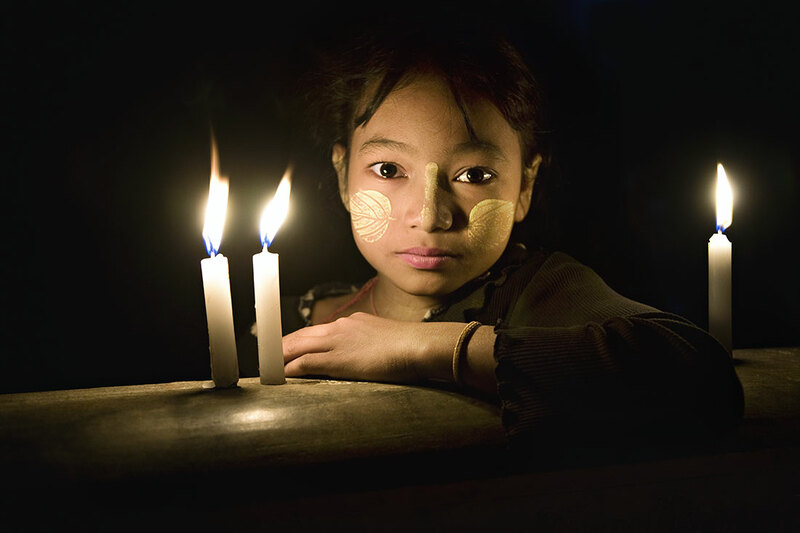 The image of the girl lit by candle light is one of my favorites. The light in her eyes and glow of her skin are fabulous. Well captured by a pro! I will be forever grateful that I was one of the fortunate ones to experience Burma with you. Your Photography is just Timeless Scott! Absolutely beautiful! The composition is so wonderful. I feel fortunate to call you my friend! Thanks so much for your kindness and willingness to share your wisdom! P.S. I Love my Benro! Scott’s images are among my favorites. I have the opportunity to hang out with Scott on a regular basis. He is all about visualizing the shot and then having good equipment to capture it. I watch Scott work and he never just fires away at random. He designs the shot. I use RRS tripods, pano heads and L Brackets. Whether I am standing in the middle of a river or on top of a mesa at dawn, I never have to worry about my gear. Wanted to say thank you to those who wrote such kind words. So lucky that I found Burma long ago, unspoiled and untamed at the same time. A lot different now but still spectacular in so many ways and in so many different places. An amazing place with the sweetest people on earth! it really is the jewel of Southeast Asia….and I hope will always be that way!! thanx again everyone for taking the time to write!! 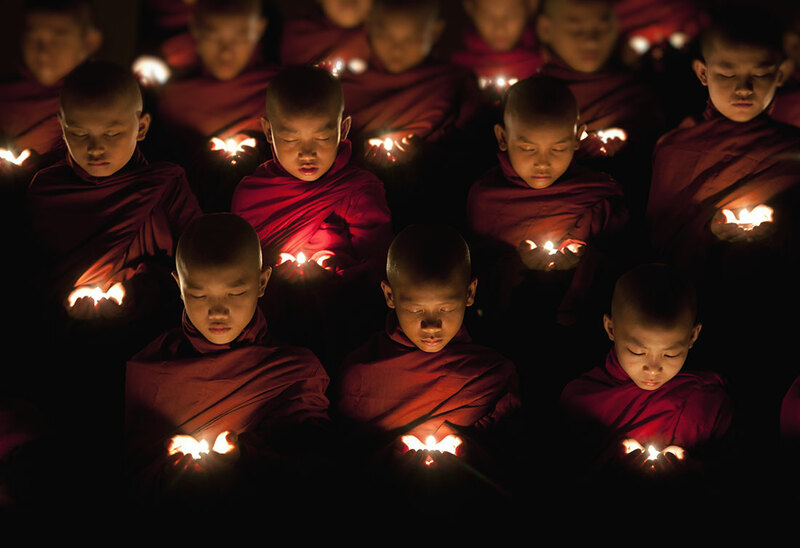 Never thought I wanted to travel to Burma but this story with the inspiring photos has changed my mind! Thank you, Scott, for sharing.